Our internationally trained team of hairdressers and beauticians are hand-picked for unrivalled passion and dedication to the art of style. We understand that only the highest quality products, used by masters of the latest techniques, can deliver the perfect results Morph guarantees. This is why we continuously and relentlessly invest in every member of our team, ensuring our clients not just an extraordinary experience, but uncompromised professionalism and customer service. Cassandra is our Style Director at our Claremont salon! With nearly a decade of experience in well known salons across the U.K – including Toni & Guy – Cass brings with her a unique flare and an abundance of international knowledge. With a calm yet rock and roll style, Cassandra’s easy going nature and attention to detail have resulted in an incredibly loyal client base. 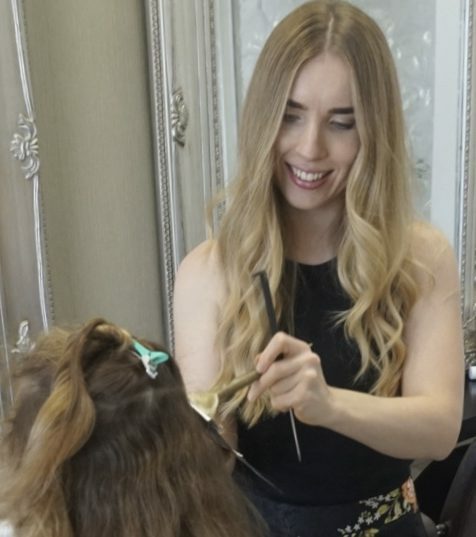 With her specialities lying in precision cutting, barbering as well as major colour correction and all things blonde, Cass always looks at what is best for the health of her clients hair and how to best maintain their styles.